Hi community! It has certainly been a while! I have been on hiatus for a bit as I am currently abroad on an overseas exchange programme, but I managed to take some time off to have my mid-term vacation in Japan. In fact, I'm currently seated in my hotel room typing this! It is my second time in Japan (I was last here in December) but this time I managed to pillage the streets more successfully this time for some nice merch. That's all, folks! Thanks for reading, and hope you enjoyed the pictures. Larvitarscar from Japan, signing out! For this unboxing, I will be accompanied by my always loyal cyndaquil pokedoll "Cynda"
I Still have tons of cards for sale that start in 15 and 20 cents each!! I think it's about time I made an update of my Eevee cards! I recently re-started my White version game, and I've really taken a liking to Purrloin and Liepard. I also really like Audino. 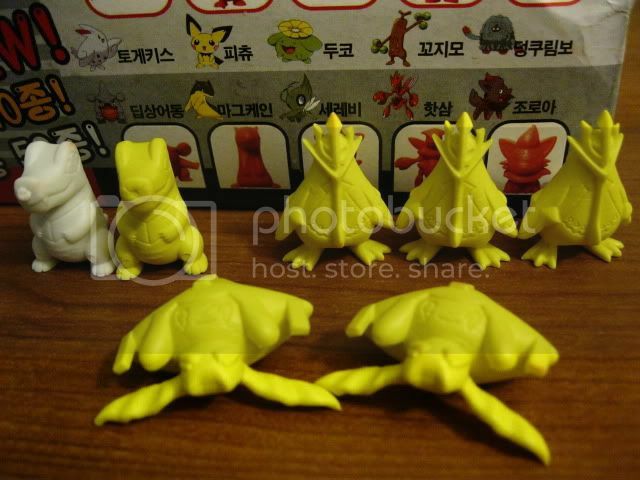 Does anyone know what kind of figures they have for these Pokemon?? I'm not looking to buy just yet, I was just wondering if they had any merch yet. Walls don't mean much to me! Got my package today from ebay! I was so excited, been waiting about week for this! Also I got my Duskull from dezch beginning of the week. I love him!! He is the first Ghostie in my Collection, I have decedied collect Ghosites! :D So I was making my Lunch, and got a package! Duskull got mad of course because he was hungry and wanted some of my spaghetti! 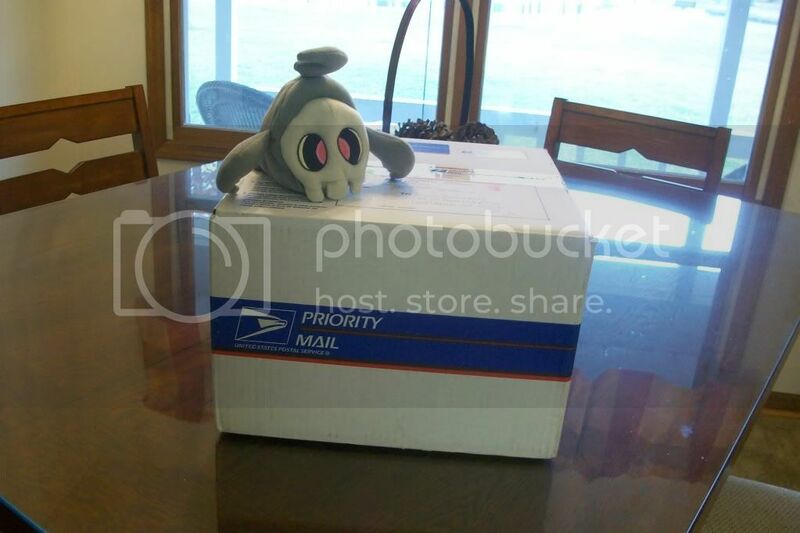 My duskull has an addiction to spaghetti, that is all he will eat, He stole my spaghetti one day and hes never been the same -_-"
First package from Pokemon Collectors Arrived! I was so excited to go to the post office and pick it up this morning ... and what was in it you ask? What a lovely early birthday present! Flareon Canvas - I need her in my life! Thank you for reading my rant! PAY WITHIN 24 HOURS TO BE ELIGIBLE FOR THE GOLDEN TICKET CONTEST! these are four very simple instructions that will not take more than a minute to do properly. please do them all. if you forget to comment here or put your name in the subject, you might be counted as having not paid, and will get hounded about it. there are hundreds of orders here so please help keep it organized and neat by following those very very simple rules no excuse not to follow them! thank you! and please and thank you! EDIT: NO MORE ORDERS MADE NOW CAN BE COMBINED! Please do not try to combine your stuff now, it is far too late! Thank you everyone for being so cooperative through out this whole campaign!! What could have been a nightmare turned out to be pretty breezy! (Just a lot of work ;D) Thank you again!! Just posting a reminder for this roller group buy, we still have a few which need claims so hopefully we can get them all! 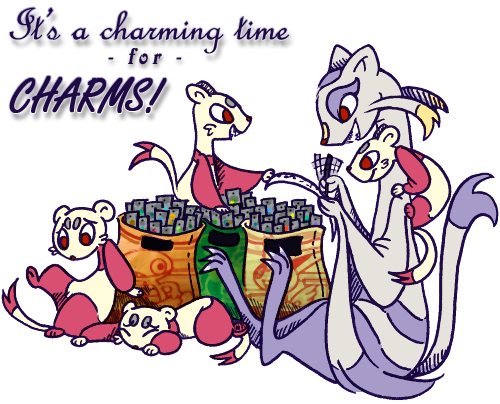 Also, is anyone interested in a Group buy for the pika charms? 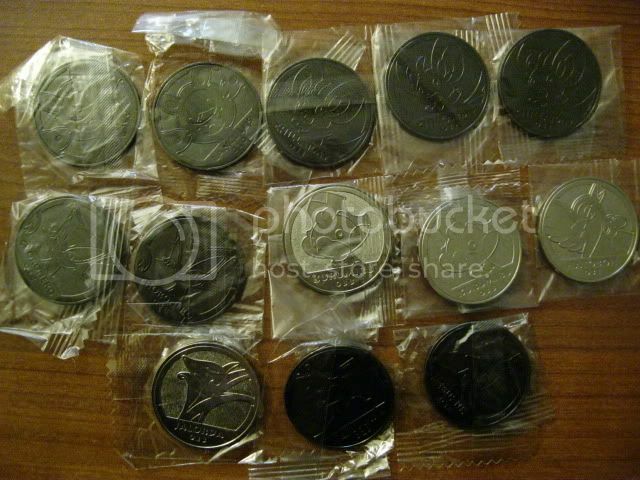 I would like the pika and they would cost $10.70 each shipped to me with fees included. I will ship them from me to you for Free! If I'm not allowed to post this, I'll delete it. But I was wondering if anyone had any suggestions about a problem I am having. 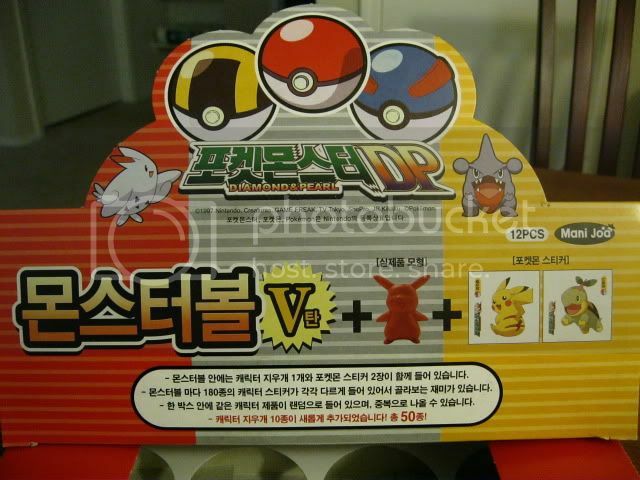 I never took them out of the box and had gotten them as part of a set on ebay and only kept Eevee. To me they always looked new and clean. "Used and stuffed back into the box does not equal new! 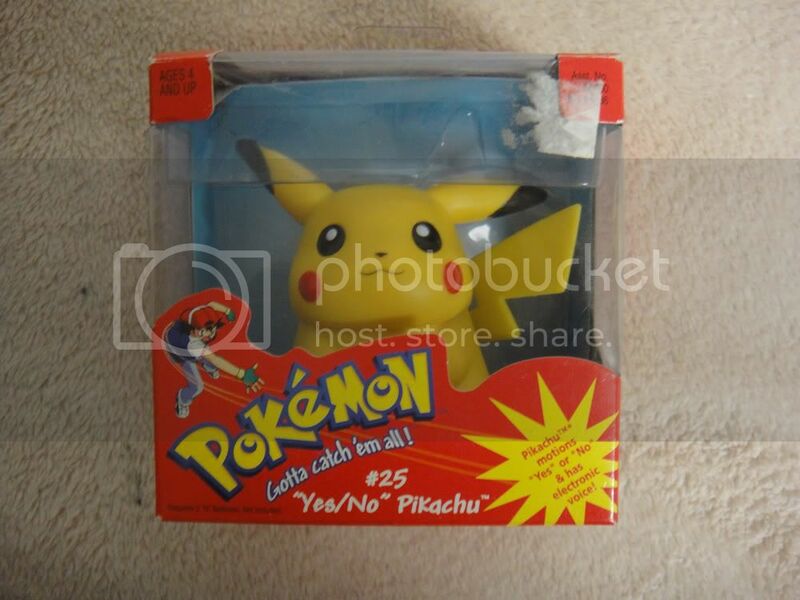 The Pikachu is dirty and the motion plate is loose.. sure signs of a USED toy. 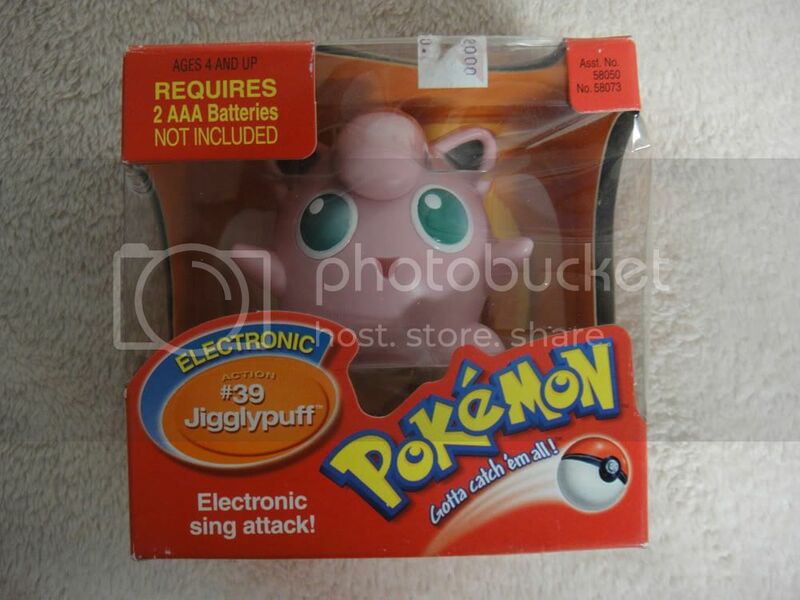 The Jigglypuff is clean enough but the battery compartment is ruined from battery acid. Again sure signs of a used toy. I should say abused toy. " I wrote back saying that they were new to the best of my knowledge. But isn't it possible that the battery compartment is ruined because it's a 10+ year old toy and the batteries came inside the toy? I remember playing with these toys in the store. I don't really know what to do, so if anyone has suggestions. They didn't leave me feedback or anything and just sent the message. Posting again so soon!! But this needed it's own post! 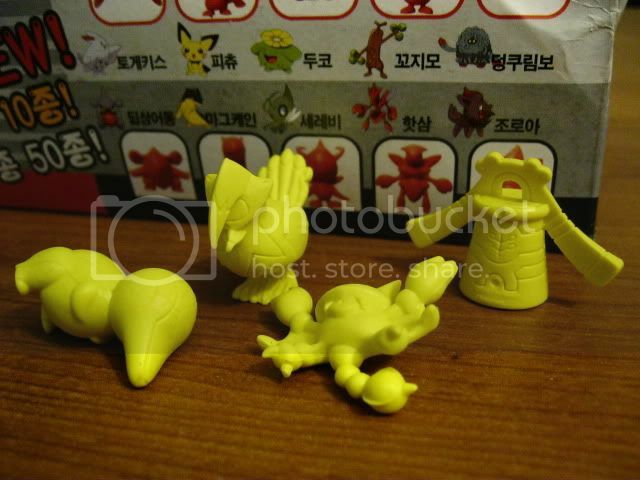 A few months ago, a member here had inquired about these Korean eraser figures... I then learned Swinub, Piloswine and Tangrowth were in this mysterious line! I got Swinub easily enough from a member here, but I've been sadly Piloswine-less and Tangrowth-less. I really do want their figures, as they have so little figures as it is, so I bought a bunch of them when they went up for sale on eBay! 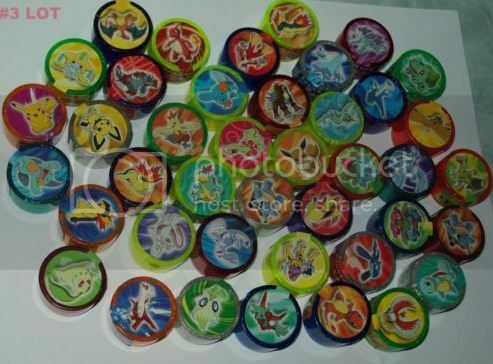 Here are some pics of the full set; quite of lot of Pokemon in here! Unfortunately, I got some pretty bad pulls. :( I can tell my box was from the little subset with Piloswine, but I just had to pull multiples of Empoleon! Sigh! If ANYONE has a Piloswine or Tangrowth from this set, please sell them to me!! 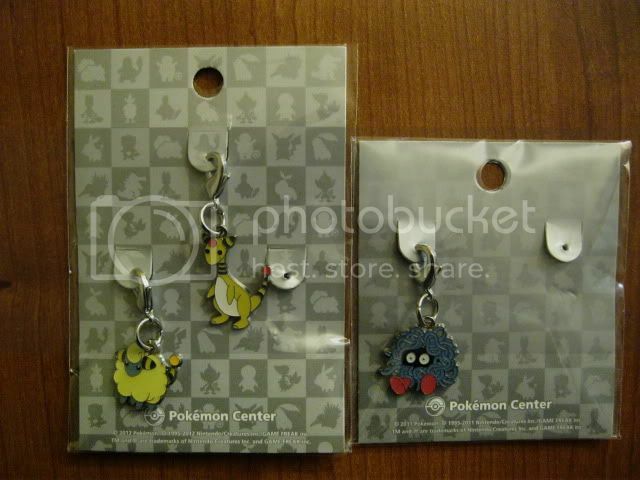 I know these have been in Sanrio stores and whatnots, so maybe you could even go out and buy a couple to check them out! They are really nice! Anyway, I have a bunch of stuff lying around, so they're all going up for sale along with my eraser pulls! Hey guys, just a reminder of the auctions I am currently running which will end in less than a day. Sorry fi this doesn't go here, !! But I'm waiting to buy something from the community on here and the girl hasn't been on for a while, if I send payment to her through paypal, will the girl be notified through email? I have no other contacts for her, and wanted her to know I'm interested in buying now. Random post, but I just had to share! I looooove cards, not obsessively, but they're SO GREAT! I kind of stopped going crazy for the booster packs, but after I bought one on a whim a few months ago and pulled a full-art Terrakion, I BECAME ADDICTED. So I bought one, JUST ONE, of the Next Destinies boosters.. I got way too excited...the art on this is absolutely BEAUTIFUL! I'm not the biggest Mewtwo fan, but man this is the bomb. Also pulled a non-holo Reshiram in the same pack! I WON THE POKEMON BOOSTER PACK LOTTERY AHHHH. Have you guys had any amazing pulls lately!? Please share!